It's rather nerve-wracking to wake up on a plane and see mountains fly past the window, far too close for my comfort. We descended along a narrow path between two hilltops dotted with evergreens and sage, a headwind buffeting the wings with alarming force. I held my breath while the ground rose up to meet us. We bounced onto the runway, I took a deep, cleansing breath, and affirmed I was finally here, in British Columbia. 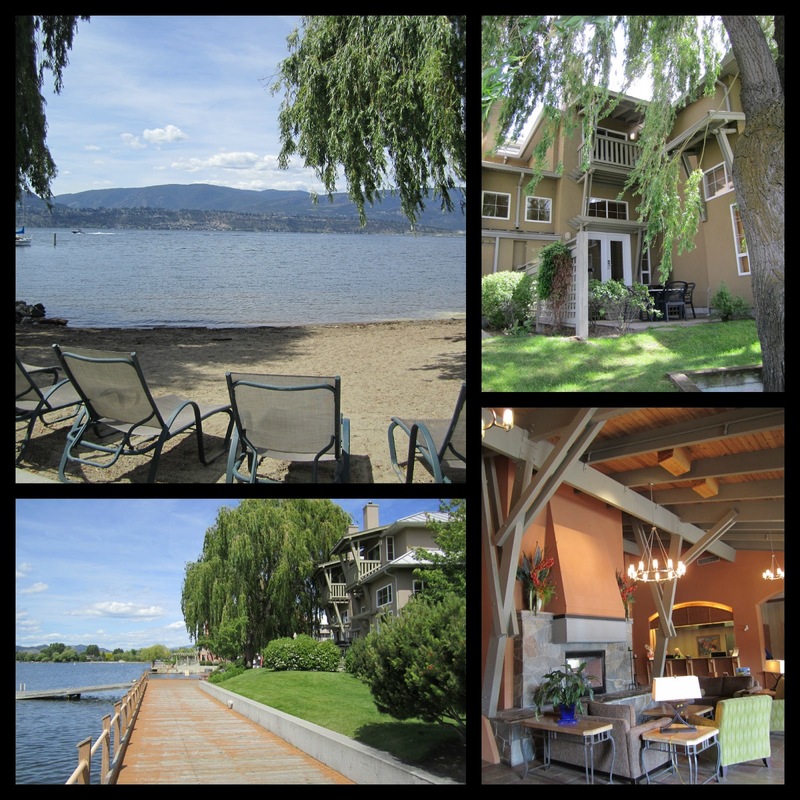 Before my pre-conference tour of the local wine route was to begin, I checked in at the Manteo Resort, a colourful cluster of villas and hotel-style accommodations perched on the edge of Lake Okanagan. I strolled the grounds a while, touring along the boardwalk and private beach, admiring the easy access around the resort's network of paths. Hard to get lost here; it's not a sprawling complex like many of its larger cousins in the industry. Everything is a short walk away from your own front door: two pools (one with a water slide), a rooftop lounge with enviable vantage points, playgrounds, water sport rentals and shady spots on the grass among the willows. Hunger pangs and a thirst for something other than stale water led me to SmackDab, Manteo's waterfront bar and grill. Service was laid-back and friendly (and patient, as I hopped from one table to the next, trying to find the best spot to chill.) I noshed on crispy, spicy calamari and a sampler of British Columbia craft beers while kite surfers showed off on the lake, some of them catching 20 feet of air right beside the boardwalk railing. The bar had a clever arrangement for tasting beers: the server handed me a slip of paper with the word SMACK written down one side, the five letters corresponding with a choice of five different beers from the menu. I opted for mostly wheat beers and light ales to go with the glorious sunshine and summer-ish weather. 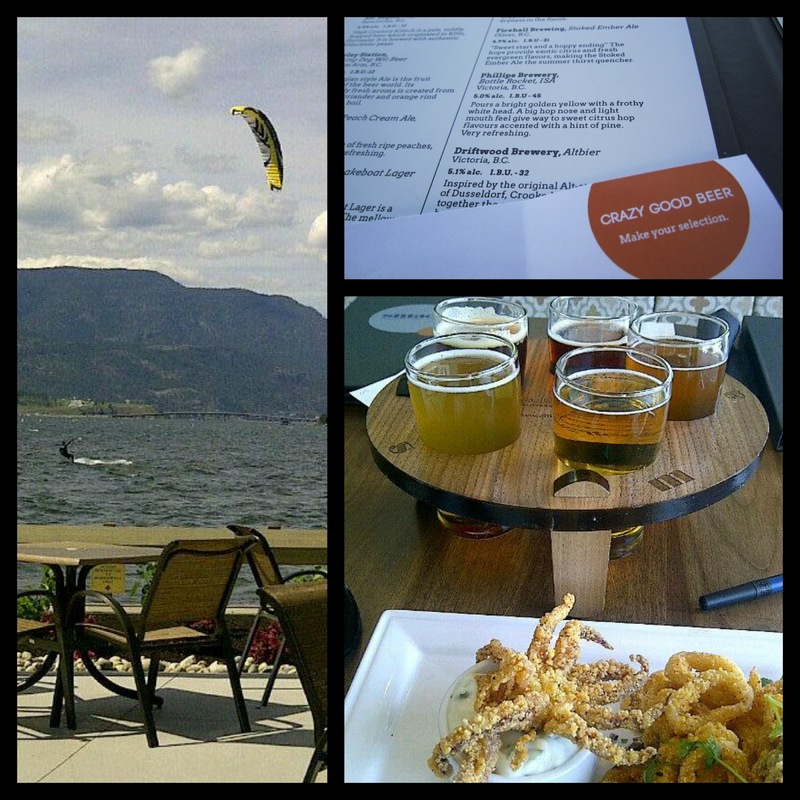 Top picks were the Barley Station Talking Dog Wit, with notes of fresh coriander and citrus that pleased rather than overwhelmed; and a grapefruit ale from Whistler Brewery, crisp and slightly sweet with pronounced grapefruit and malt notes. I would not object to having that with breakfast. 'Unwind' was the word of the day; what else could I do, drenched by the sun, revitalized by the brisk wind, beer in hand and a few hours of unplanned free time at my disposal? Ahhhhh ... Feet up, shades on, worries checked at the door. Still in the slow process of a makeover both inside and out, Manteo leans more towards families and groups on extended stays who are looking for practicality, efficiency and comfort over luxe trappings. My villa included a fully loaded kitchen, laundry, a comfortable sitting room and a back porch with barbeque—everything you'd need for a no-fuss, no-muss vacation. The bedrooms were spacious and clean, each with their own well-appointed ensuite and a nest-like bed of down pillows, mattress topper and duvet. Most pleasing were the ever-friendly and courteous staff who went out of their way to ensure the needs of their guests were met. They even brought cookies for a bedtime snack. That's hospitality. Many thanks to Jenny and Catherine, our fabulous guides and organizers from Tourism Kelowna and our bus driver, Berne, from Distinctly Kelowna Tours. It was great to meet you Bethany! Really great article and love your site.